Your business is affected by many things – including color. Determining how color and trends will impact businesses down the road is the specialty of Doty Horn, the Founding Director of ColorVoyant, a business-to-business visionary color marketing firm. Doty founded ColorVoyant in February of 2011 with the approach that if you understand the “big picture” then you know how to contribute to a greater vision. This perspective translates well when strategizing color and design, the two threads essential for successful brand positioning. Through services such as trend and color forecasting, color and design strategies, regional and market-specific color analysis and general color consultancy, Doty and her team at ColorVoyant are able to work with businesses to help them understand the impact of color on their brand. With some optimism on the horizon, colors in 2012 will enjoy a vibrancy translated through the use of accents in décor and clothing. Naturals will dominate the color landscape, with grays becoming more and more popular, especially with the vibrant color accents. Consumers will look to their cultural heritage and ancestral roots to discover colors they can live with for a longer period of time. What I like to call the “peas, corn, & carrot” color combination is timeless and translates a feeling of comfort and stability. With a background in the fashion industry and through extensive traveling for trend research at international trade shows, Doty has established a rich foundation for understanding color and design trends and how they translate into the market. Her insights also reflect a thorough understanding of the emotional impact and power that color has on the consumer market. For seven years as Benjamin Moore®’s Director of Color and Design, Doty established market-focused color strategies and trend forecasting, using color as the driving principle. Among her numerous contributions, she created Benjamin Moore®’s Affinity® Color Collection and was the creator and visionary behind Benjamin Moore®’s internationally acclaimed and award-winning trend forecast, Color Pulse®. 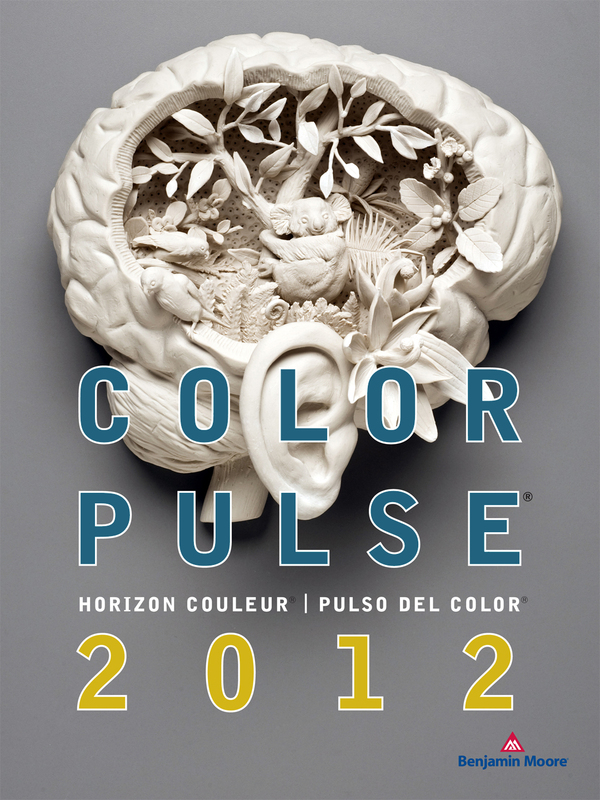 For many years, Doty presented Color Pulse® at the Hirshfield’s Design Studio. For more information on Doty and ColorVoyant, visit colorvoyant.com. In our recent post, Design Inspiration, Doty Horn, director of color and design for Benjamin Moore, discussed design themes and how designers use the themes to create amazing spaces in your home. In this video, Doty discusses how design trends have changed and design reflects your own personality. By the time you see a new color on a paint chip or a new pattern in a gorgeous textile, an incredible amount of time and thought has gone into them. Trend experts and designers are thinking far into the future for that next big thing, best color and top trend. Doty Horn, director of color and design for Benjamin Moore, visited the Hirshfield’s Design Resource to present Color Pulse 2012. The presentation covered themes and trends for designers to get inspiration from. In this video, Doty discusses the themes of preservation and protection and how designers use the information to create amazing spaces in your home. The Farm: Doty predicts a shift back to basics – think textures and patterns such as gingham checks, plaids, hopsack and burlap. The color palette is likely to include hues reminiscent of milk, hay and earthy tones, such as Benjamin Moore’s Oat Straw and Grassy Fields.